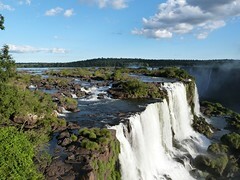 Anyone who visits Argentina is spoiled for the amount of sights to explore. This vast country, one of the largest in the world, offers a staggering diversity of landscapes, ranging from snow-covered mountains in the south, steamy jungles in the Northeast, bone-dry highland steppes in the Northwest, the fertile Pampas and windswept Patagonia, and the end-of-the-world archipelago of Tierra del Fuego. 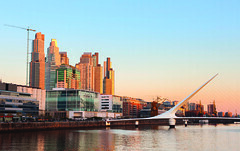 Buenos Aires, the capital city, which in Spanish literally and appropriately means "good air," reminds one of the heavy European influences on the area. These effects are most evident in the classical architecture that hovers over the city. It is also home to legendary figures, past and present, such as Eva Perón, Queen Máxima of the Netherlands, and Pope Francis. This breathtakingly beautiful metropolis along the Atlantic coast boasts a rich cultural milieu. Theaters may be found on nearly every corner. Tango dancers have given the city a certain mystique. 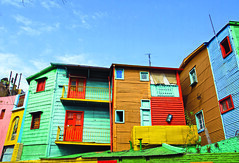 In fact, the music of Argentina is known mostly for Tango, but other forms have made their mark in recent decades as well, including Argentine Rock and a unique blend of Latin American Jazz, Mambo, and Tango.